Chanted prayers are an important component of training in spiritual life. They help us to still our mind, connect with the Buddhas and receive blessings. Join us on Monday evenings as Rinpoche leads us in chanted prayers recited in Tibetan and English. 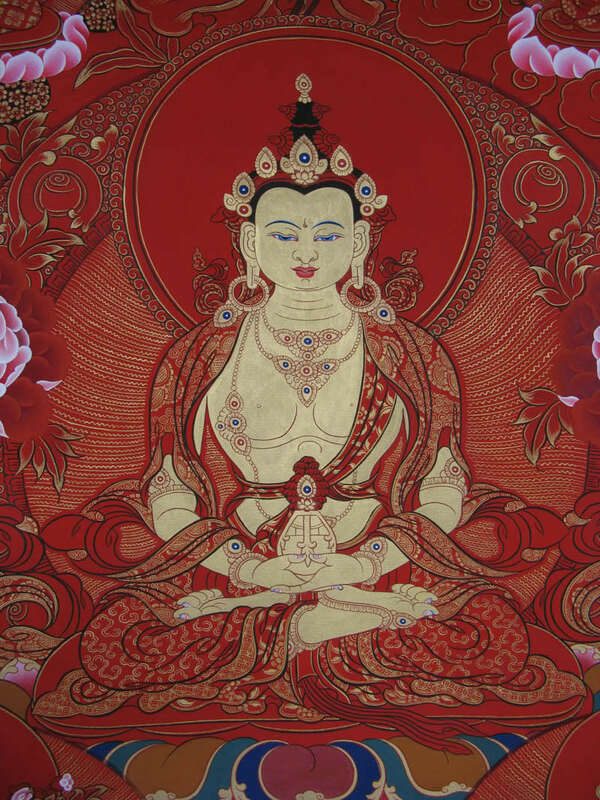 Prayers are typically those of Amitabha Buddha (Buddha of Infinite Light), but occasionally also Avalokiteshvara Buddha (Buddha of Infinite Compassion) or Medicine Buddha (Buddha of Infinite Healing). We imagine a world transformed, purified, and at peace. Beginners to advanced practitioners are welcome, prayer books are provided. Free of charge, but donations are welcome.